I’d like to big up one of my favourite recipe book writers – Christine Bailey MSc PGCE MBANT. Chiristine has produced some amazing specialist cookbooks in her time tackling some of the more difficult subjects of allergies and intolerances. In her latest book, Top 100 recipes for brainy kids Christine again put her nutritional know-how to use for the benefit of the rest of us. The book is crammed with practical ideas, tips and recipes that are realistic and will definitely get the kids on board. It is the ultimate recipe collection for giving our kids the best possible start. From the moment a child is born, nerve cells or neurons in the brain are making connections by the thousands. They form myriad pathways that build up within the brain to control every function – from breathing, sleeping, speech and walking to every aspect of learning and behaviour. This enormous task of brain development occurs at an incredible rate and, in the first year alone, billions of networks take shape in the brain, guiding these functions to connect with the child’s world. Research being undertaken today shows that giving your child the right kinds of foods with the right balance of nutrients can have a profound and beneficial effect on intellectual development and behaviour. With the optimum diet, your child will be able to concentrate well, regulate their behaviour and have a constant supply of energy for clear thinking. In THE TOP 100 RECIPES FOR BRAINY KIDS Christine provides the tools parents need to take advantage of this new nutritional research. The 100 recipes are filled with brainy fats, clever carbohydrates, protein power, and vital vitamins and minerals as well as other essentials like antioxidants, probiotics and a balanced GL load. Christine also includes advice on the brain drainers to avoid. The recipes are quick and easy-to-follow, they are also suitable for the whole family so there is no need to make separate meals for everyone. Though the breakfasts, snacks, lunches and suppers are all designed with school age children in mind many of them are suitable for toddlers too. Who says you can’t have sweet treats that are good for you!! 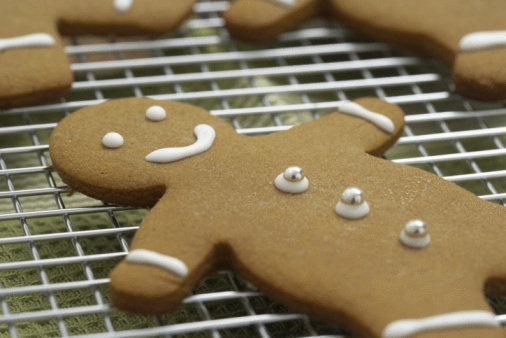 This is a wonderful healthy gingerbread recipe and simple enough to get the kids involved with the cooking. Make into gingerbread men or use whatever biscuit cutters you have to hand. Great for packed lunches or a tea time treat. Flaxseed is high in fibre to aid digestion, helps stabilize blood sugar levels and packed with omega 3 fatty acids important for brain development and function. 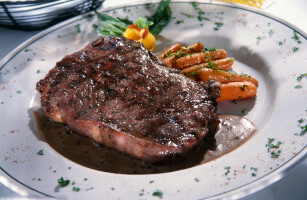 Rich too in B vitamins and magnesium needed for the production of energy and neurotransmitters. 1.Preheat the oven to 180ºC/350ºF/Gas 4. 2.Lightly grease a baking tray. 3.In a bowl, combine the tahini, flaxseeds, honey or agave nectar and beaten egg until creamy and smooth. Sift together the flour, ginger, cinnamon and bicarbonate of soda in a bowl. Stir in the tahini mixture and beat well to form a stiff dough. Knead lightly then wrap in cling film and chill for 15 minutes. 4.Lightly flour a work surface and roll out the dough to about 1cm ½ inch thick. Using a biscuit cutter, stamp out shapes and place on the baking tray. 5.Brush the biscuits with a little beaten egg. Bake for 10-12 minutes, until the biscuits are lightly golden brown. Allow to cool for 5 minutes before removing from the sheet. Place on a cooling rack until completely cold. A tasty alternative to sandwiches. Easy to prepare and assemble and full of energising ingredients, brain boosting fats and nutrients to support brain health. This is a great recipe for getting the children involved in the kitchen. Combining protein rich foods such as beans, avocados with grains like corn helps ensure a full range of essential amino acids needed for neurotransmitter production as well as helping to balance blood sugar levels important for maintaining concentration, alertness and improving behaviour. Beans are also a great source of zinc crucial for boosting mental performance. 1.Heat the oil in a frying pan and add the onion, garlic, courgette and Cajun seasoning. Stir for 3-4 minutes until tender. 2.Add the beans and tomatoes and heat gently for about 2 minutes. 3.Warm the taco shells according to the pack instructions. Stir the avocado and coriander into the bean mix. Spoon into the taco shells and top with the grated cheese. For those moments when you want lemon curd and nothing but lemon curd. Easy to make and gluten free. Put lemon juice and butter in a bowl and cook on high for 1 ½ minutes. Pour into jars and cover, when cold store in fridge. Eat within a week, I really don’t think that will be a problem. My battles with sleepless nights continue. One option is to try CherryActive juice which has high levels of melatonin, the hormone which regulates sleep. 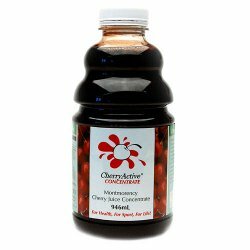 As we get older melatonin levels tend to decline until by our 60s most montmorency cherry has been put to much scientific research – results suggest that regular consumption of the cherry antioxidants may help reduce inflamation, cholesterol and fatigue, maintain muscular strength, increase joint health and normalise uric acid levels (reducing the affect of gout). It’s fantasticly high antioxidant content is also likely to look after your brain’s grey-matter and general health for a longer time. How do you begin to write about organic meat? Should you just talk about the incredibly superior flavour or do you focus on the humane treatment for the livestock? GoodnessDirect is now delivering sausages, burgers, bacon and mince from Laverstoke Park Farm, possibly the most experimental farm in the world. What they are doing there is crazy. It sounds like something out of Charlie and the Chocolate Factory! Scientists in white coats work hand in hand with farmers making sure that even the soil specific to each field is perfected to grow the food for the livestock. The owner, Jody Scheckter (ex Foruma 1 racing champion) calls it the “University of Organics” and he is passionate about creating food of the highest quality. Laverstoke is an award winning farm working hard to transform the quality of our cuisine. Meat you can taste is sweet or creamy is a world away from the factory meat you’re used to – don’t take my word for it, try some today. When you suffer from skin problems the instinctive thing to do is to take care of your skin more throughly. The trouble is it’s possible to hinder skincare more than you help it. Even when girls use mum’s cosmetics it can spell problems because they won’t necessarily have the same skin type. If you suffer from spots and acne you might start washing your face twice daily or more to get rid of the bacteria. But the best thing you can do is speak to your doctor, washing your face in the morning (but not at night) can actually destroy your skin’s defences. It’s far better to wash your face before you go to bed and let your skin build up it’s natural protective barrier. The skin’s natural protection is called the acid mantle, it helps to hold in your skin’s moisture and keep it free from infection. However it is neutralised by using alkaline soaps. Using a cleanser which is mildly acidic itself will strengthen the skin’s acidic shield and form the basis for daily skin care and a lifetime of beautiful skin. This year, Yin Yang’s Skin Cleanser was winner in the Natural Health Beauty Awards as a “great morning cleanser, which gives the skin a dose of refreshment thanks to the witch hazel and uplifting orange essential oils.” Witch hazel, coconut oil and the essential orange oil are all naturally mildly acidic ingredients but, notably, there is no soap or detergent. Yin Yang’s first priority has always been to use natural products to make the skin healthy. They base their products on plants which will deliver the proteins you need straight to your skin and their green credentials are very strong: no chemical additives and no animal testing. Would you like to experience the Yin Yang philosophy “healthy skin is beautiful skin” for yourself? Then I’ve got a competition for you. The winner gets a box of Yin Yang’s essential skin care items. There are some runner up prizes too. All you need to do is send us an email with your address in it and the winners’ names will be drawn out of a hat on 4th December 2009. Are you familiar with Sweet Freedom? It’s the low GI (glycaemic index) sweetener that you can use instead of sugar or honey and it is made just from apples, grapes and carob. Excellent for Vegans and those wanting to avoid animal products, excellent for those who don’t want a sugar rush from sucrose. Excellent all round really…and now it’s been discovered by Raymond Blanc. “Here we were busily working away on all things Diet Freedom when the phone rings and a lovely lady from Le Manoir aux Quat’ Saisons (Raymond Blanc’s famous restaurant in Oxfordshire) asked if she could set up an account and order Sweet Freedom as Raymond would like to serve at Le Manoir with coffee, teas etc!!! Well … we didn’t have to think about that one too long as you can imagine. They do not want to offer anything artificial to their customers apparently and rather than decant they are going to offer in our ‘very practical’ bottles too! Sweet freedom can be used exactly as you would sugar or honey: use to sweeten all hot and cold drinks, bake ‘no added sugar’ muffins, cakes, flapjacks, brownies and puddings plus make desserts such as ice cream, cheesecake, mousses, drizzle over porridge and cereal and tastes great on toast instead of honey or jam. As Sweet Freedom is made from fruit it is absorbed slowly into your system and doesn’t peak your blood sugar levels in the same way as sucrose would. The rate at which a sweetener is absorebed into our blood can be measured and this indexed and called the GI (Glycaemic Index) or GL (Glycaemic Load). Sweet Freedom has a low Glycaemix Index and load. (More on Glycaemic values) Because of this Sweet Freedom would be the preferred sweetener for for weight management. It has 25% less calories than sugar plus you can use 25% less. It is also suitable for diabetics and vegans. Top down squeezy bottle with drip free cap means really easy to use and no mess. Sweet Freedom is available in two varieties, Mild and Rich. Both are multi-purpose syrups but the Mild is best for tea as it’s the most neutral and sugar like, the Rich has a lovely toffee like taste. Diabetics, vegans, those avoiding sugar and on a ‘no added sugar’ diet, gluten free, gluten and casein free diet, dairy free, egg free, low fat , lactose free, wheat free, yeast free, and soya free diets. Sweet Freedom, we are proud of you. Squashing together delicious ingredients and forming them into balls or bars becomes the norm for those wanting to keep it RAW. These basic chocolate fudge balls are no exception. The name is a little deceiving really as personally I don’t like conventional fudge, and so could be easily put off. These balls are just dates, cashews and cocoa with a few optional extras to throw in or roll in as the fancy takes you. It is so simple – First grind the cashews in a blender, the finer the better as they give a smoother texture. Then add the dates to the blender and blend again. Add the cocoa powder. The mix will take a bit more than the dessertspoon so you can go up to a tablespoon to suit your taste. Reblend until the whole mix is a solid lump. Stop blending here, remove and chill a little so it is not too gloopy to handle. Form into balls. You can roll the balls in anything you fancy to make them less sticky. My favourite is raw cacao nibs, but others include more ground cashews, ground hazels or almonds, cocoa, coconut or icing sugar. It is also simple to add any flavourings, a little mint or vanilla or orange oil for example. Using biscuit cutters to get star shapes gives a little variety too.